We all know the glamorous side of the medal and glory. But the medal also has its dark side. Unfortunately, this theme is a taboo, and most of the instructors do not dare to speak. Because their organizations oblige them to participate in overcrowded sports calendars and competitions annually. Most organizations aspire to membership in the largest sports corporations such as the IOC, TAFISA, Sport Acord. This is a good and fast business, providing subsidies from ministries, municipalities, sponsors. 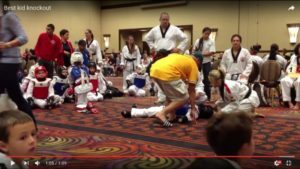 Many instructors begin practicing taekwon-do as a martial art, but the racing part of the martial arts works with the power of a narcotic. 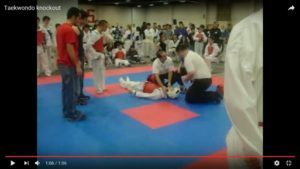 When the goal of practice focuses on the cup, medals, adrenaline and endorphin, then martial art no longer differs from all other sports and loses its authenticity. Do not get me wrong. I am a graduate of the National Sports Academy in Bulgaria. I was a part-time lecturer in the Department of Theory of Sports. The sport is a wonderful and phenomenal sphere of human activity. OK. The World have taekwondo as an Olympic sport. This is WTF. 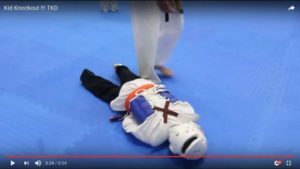 My question is to what extent does sport change the meaning of practicing martial arts? What loses martial art and practitioners in this case? 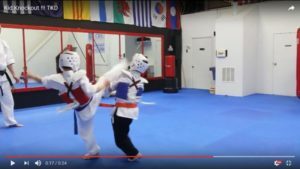 I will give you only two more reasons why I believe that the taekwon-do loses much and takes a negatives of its transformation into a sport. Of course, many instructors and masters of our martial art family will give arguments to the contrary. First: According to common beliefs, one of the goals of practicing martial arts is to achieve balance and harmony and good mental equilibrium. Practicing professional sport lead to a condition in athletes called “burnout”. These are destructive mental conditions caused by high levels of stress, on which are subject the athletes. Intenseve physical loads and competitive stress are accumulating and this leads to mental imbalance. This is a world level topic in the scientific community. With high-class athletes who have reached “burnout”, work psychologists and specialists. Second: The other major goal in the martial art is to build a healthy body. 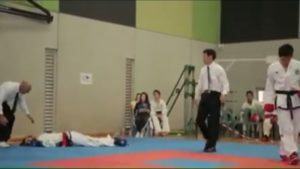 The taekwon-do strikes are with great acceleration and power. 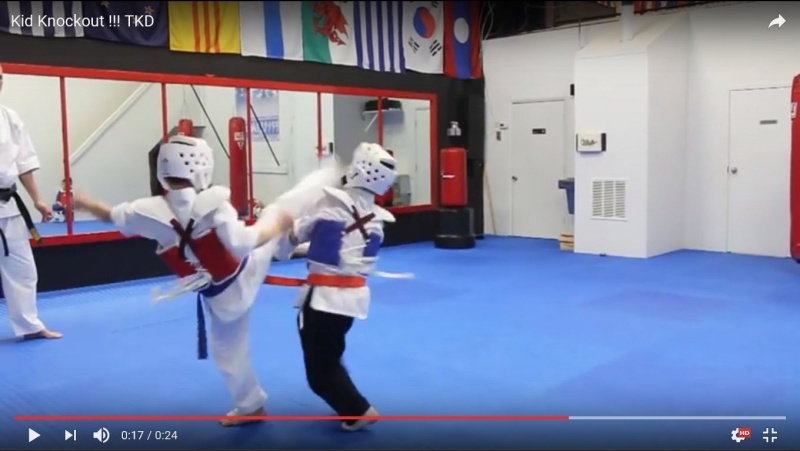 The phsychical state of a professional athlete, who goes out on a sparring round in a tournament , unlocks such a dimension of kicks as is hardly achievable in a normal traning. Both the desire for victory and the fear unlock this human reserve. In a knockout, the competitor falls instantaneously unconscious and usually wakes up from the blow to the floor. Unfortunately, we also see this with children even though they have helmets and protectors. Even without knockouts it has been proven that repetitive and systemic concussions increase the likelihood of brain damage, eye trauma and dementia. 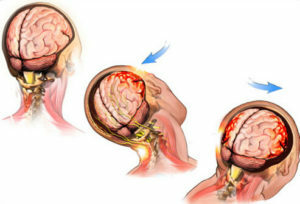 Each stroke on the head causes a concussion that causes to ruptures of the small blood vessels into the brain. This also damages the surrounding nerve cells that begin to form the characteristic tangles that are found in Alzheimer’s disease. Every coach and organizer of the competition every time pray to not happen nothing bad. But sometimes the things are happened remain hidden for the eyes and cameras behind the shiny facade of the tournament. So what’s better? Shall we accentuate the word “fight”? Or while learning the techniques of the martial art we must to learn how we can live properly, reasonably and worthy? 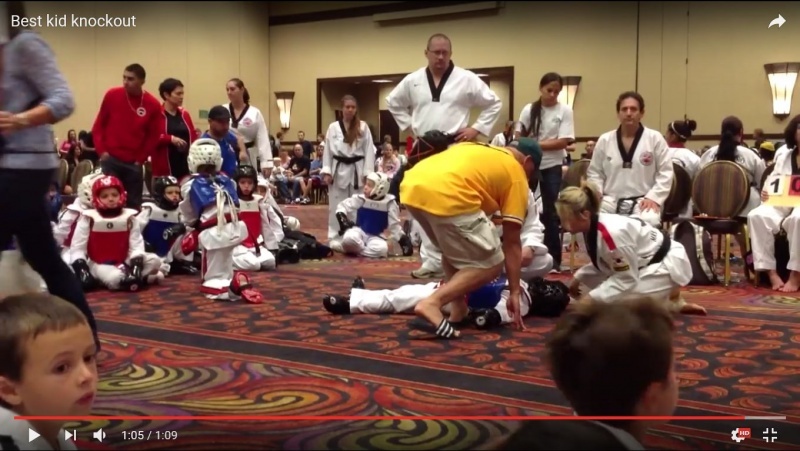 And what should be our motivations to teach our children of taekwon-do? To select champions to meet the requirements of organizations? Or to educate and build healthy and fulfilling personalities?